Hello students, As we now next month is full of exams. So we come with a new book which will help you in upcoming exams. The Gist of NCRET is a good book for competitions exams of view. This book will help you in UPSC, SSC, State PSC and other exams like Railway. This is a good book for a quick revision of NCRET books up to 10th. 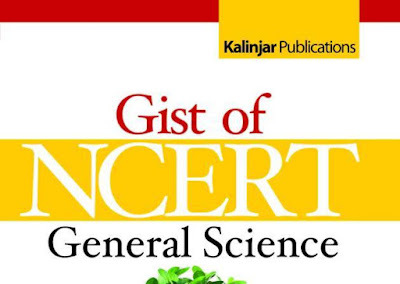 Click Here to download The Gist of NCRET General Science. Click Here to download Class Notes (Math) by Rakesh Yadav. Important: Use this PDF for evaluation purpose only. To give proper respect to author and Publisher, buy a hard copy of the book. Sharing is Caring, So share this post on facebook.